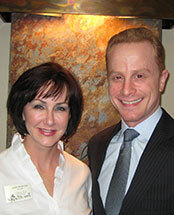 We discussed how to look and feel your best in 2012 with the experts at A New You Skin and Body, board certified plastic surgeon Dr. Asalf Yalif and Clinic Director Judith McKernan, RN, B.S.N. We will also hear from the experts at Equilibrium on the new hcG diet and more. Dr. Asaf Yalif is a triple board certified plastic surgeon who specializes in cosmetic and reconstructive surgery of the face and body. He strives to be your partner in achieving the new you that you’ve always wanted to see but didn’t necessarily know how to accomplish. Utilizing all the most recent developments, both surgical and nonsurgical, he will help you create a unique plan to achieve your goals. Judith McKernan, RN, B.S.N. is clinic director of A New You and a member of the Association of Medical Esthetic Nurses. Her role with A New You includes consultant, educator, manager and service provider. She is certified in lasers including the Lumenis IPL, Laserscope and Alma platforms. And has received advanced injectable training for Botox and Fillers. Dr. Alise Jones-Bailey is a graduate of Morehouse Medical School in Atlanta, Ga where she received her doctrate of Medicine. She is not only board certified in Obstetrics and Gynecology she is also fellowship trained in Anti-Aging and Functional and Regenerative Medicine. Dr. Alise as she is referred by her patients, has a true passion for anti-aging and weight loss medicine for men and women. She has successfully practiced in the Atlanta metro area for the past 20 years and is currently the Medical Director at Equilibrium Weight Loss and Longevity Centers in Georgia. Corde’ Carter, The Center Director for Equilibrium Weight Loss and Longevity Centers in Georgia has over 25 years of experience in the healthcare arena. 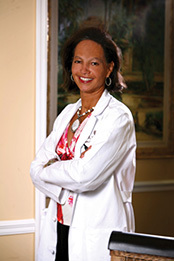 She began her career as a healthcare executive with Johns Hopkins Health System in Baltimore, Md. and has subsequently worked for several health systems and private practices before joining the Equilibrium family. She has a passion for helping and improving the lives of others and feels fortunate that she is able to transform so many lives through her work with Equilibrium.